When I first started teaching high school, I was barely older than most of my students. My high school years were fresh in my mind and so I thought I could easily connect with the kids. I was kind of right. I connected with them because I still listened to their music, understood their fads, and knew how to use social media. But I quickly realized that even though we looked the same age, there was a huge difference between us. They were still kids in adult sized bodies. Now that I am staying home to take care of my baby I wanted to write this post so that I don’t forget what I learned as a teacher. Hopefully I will be able to still connect with and understand my own kids when they are this age! They worry about their future more than they show: This is true especially for the older teenagers. It is hard for them to admit it but they do realize their childhood is coming to an end. If they seem uninterested in college applications, the ACT, and looking for jobs it is not because they are lazy, it is because they are afraid or feel incompetent. It helps if you point out to them that they aren’t expected to have it all together right away. (Even you don’t still have it all together, let’s be honest.) If you keep telling them that “this is just the way life is now” they will interpret it as “life is now just going to be full of fear”. Instead, remind them that they will still be allowed to dream, play, and laugh throughout their life, but they are transitioning and therefore learning new skills that will in time also help them enjoy the world. Hard work and overcoming fears can still be accomplished with laughter, and are how we reach our dreams anyway. Play is how they learn: Although the lines of looking like a 17 year old and a 23 year old are blurry, a 17 year old is still a kid and therefore play is still a huge method of learning. When they are planning parties and hanging out with friends they are learning. They are learning how to be organized, how to be leaders, and how to make decisions on their own. You pointing out that they are developing these skills can help them transition into the adult world with a little more confidence. The world really does revolve around them: Think about it. All they’ve ever known about the world is what they’ve observed. They’ve probably only lived in their own home, they’ve only really socialized with their own friends, and school is where they go day in and day out. 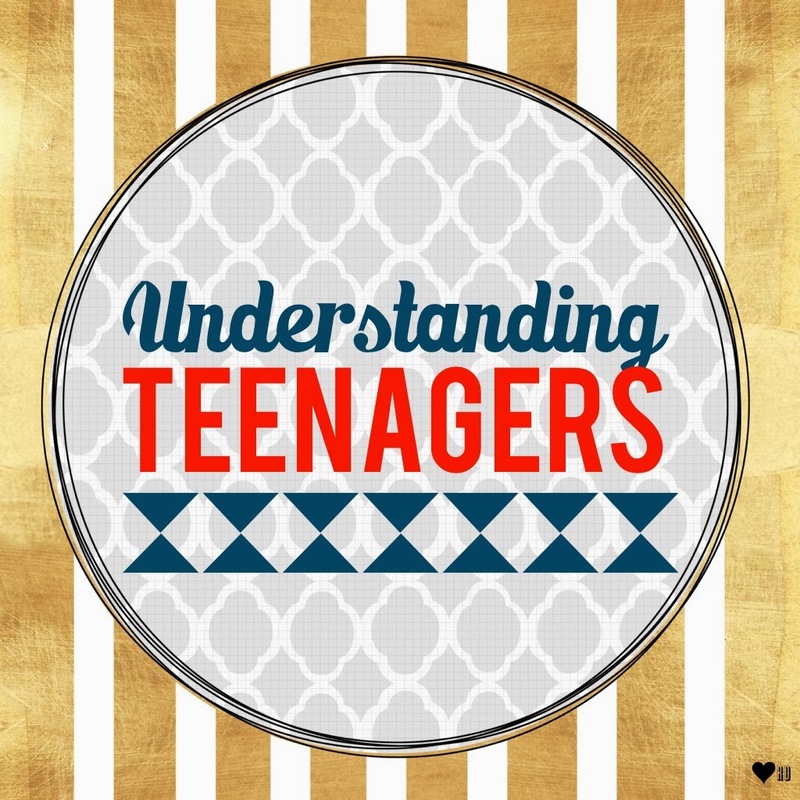 If you want to really teach, care for, and understand a teenager, this is what you need to talk to them about. Once you understand their world, you can then help them understand the world by relating the two. Their emotions, even over silly things, are very real: Just because you think that what they’re upset about is insignificant, doesn’t mean it is. Remember, their world is small. You may think that you are helping them by telling them that their best friend being mean to them won’t matter in five years, but the truth is, it will matter in five years. It will matter a lot in five years. It will matter because right now it matters to them and right now they are learning how to react to their emotions. They are learning how to react to pain, fear, loss, anger, hurt, etc. and if you keep telling them that the proper reaction is to “just. get. over. it.” they are going to be some pretty messed up adults. No one tells an adult to just get over loosing a job, or loosing a child. It is okay to comfort them over silly things because their emotions aren’t silly. As their brain develops, and their view of the world develops, and they experience even more emotions, they will learn what is a big deal, and what is not. They will not learn that by you ignoring their “childish” issues. Listen to them, and care about their lives. Every child has potential and value, and they need you to help them see it. Ask them about their friends, their fears, and their dreams. Tell them they are loved, appreciated, and have the ability to succeed. What a great post! As the mom of 2 young men – a 20 year old college student and a 16 year old now home schooled student – it's so easy to get caught up in the day to day trials and forget what they are going through. Being a mom gets a LOT easier, but it's still work! Thanks for sharing these… I'm glad I found your blog on the Fantastic Friday Linkup!